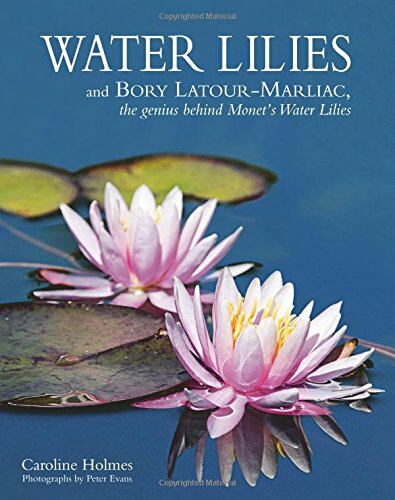 "Aquatica Plus UK ships Water Lilies: And Bory Latour-Marliac, the Genius Behind Monet’s Water Lilies from Amazon.co.uk. Amazon.co.uk has fast shipping in the UK and often free shipping on pond and aquarium supplies. Add to your basket now while supplies last to avoid delays." Water lilies are inextricably linked to the ancient cultures of Greece and Rome, Egypt and the Far East, where they were highly valued, just as precious metals or gemstones, their properties were thought to be medicinal, spiritual and purely aesthetic; they have been represented in architecture, printed textiles, religious paintings and illustrations, cited in mythology, folklore, mysticism and the creative imagination. This volume meticulously records our enduring love affair with the most beautiful and exotic of plants, the water lily. It is a comprehensive and detailed account of their introduction into European culture, largely through the passion and devotion of one man, Joseph Bory Latour-Marliac (1830-1911), whose lifelong work in the field of propagation, cultivation and commercialisation of water lilies inspired a generation of horticulturists, artists and poets to create the words and images that are deeply embedded in our culture today. Claude Monet, for example, used lilies from Latour-Marliac's nursery to create his garden in Giverny.The work Latour-Marliac did gave rise to development of specialist lily nurseries and growers across Europe and North America; in fact, Latour-Marliac's nursery still exists today, owned by Robert Sheldon, an American who shared Latour-Marliac's passion for water lilies and water gardening and has been the force behind the nursery's continued success today. What customers say about Water Lilies: And Bory Latour-Marliac, the Genius Behind Monet’s Water Lilies? Knowledgeable account of the hybridization of water lilies and their links with Claude Monet and other horticulturalists of the time, illustrated with stunning photographs of the flowers.